I can't decide if I want to read this or not. The quotes and facts you include are great but the topic isn't my favorite. The humor in it does make me want to at least pick it up next time I'm in a bookstore. Thanks! This post brought me back to the years I had to dissect them. It sounds like a good read, to give me a different perspective!! Thanks!! Red, If you're not interested in the topic I wouldn't recommend it. While parts are very funny, it is first and foremost about dead people. Jessica, I have always been interested in topics like these. I don't think it's a bad thing at all! BookQuoter, Impressive! I would love the opportunity to do the same, although I don't think I'll ever have one. But what an interesting experience for you! Great review, my husband is a medical student so he is very grateful for cadavers! 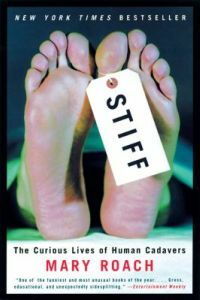 I loved Stiff and want to read this, but I am worried that I might find it a bit much. I was doing OK with your quotes until the brain through the ears bit! i'm sure I'll get to it one day, but I think I'll read her others first! Oh I loved this book and totally didn't think I would! Glad you found it interesting too! I loved this book and I want to read more Roach. Have you read others by her? Laura, I haven't read anything else by Roach, but I've read mixed reviews. Some like her other work (Spook, Boink) but others say Stiff was her best. 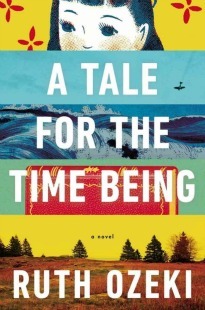 This book was darkly hilarious: I wound up reading everything in my library by Roach because of it. Strangely, two of those also involved dead bodies. It wasn't "Boink", though! smellincoffee, I really loved the way Roach approached the subject. She's really fantastic and I hope to read more by her.